The McNab, also called the McNab Shepherd or McNab Sheepdog, is a medium-sized dog that originated in Northern California in the 1800s. This breed is energetic, affectionate, and easy to train, and is great as either a working ranch dog or a family pet. Due to their breeding as herders, McNabs are extremely fast and nimble; they are also obsessed with cleanliness, and have excellent hygiene habits. Members of this breed make excellent additions to households with children and other pets. They do need a great deal of exercise and preferably a large yard to either live or for outdoor playtime; they are not suited for apartment living. Below are details and specs for the McNab dog breed. Size can vary greatly. Weight can range from 35 to 75 pounds; height varies from 15 to 25 inches at the shoulder. Friendly, hardworking, intelligent, and loyal, McNabs are prized for both their nearly boundless energy and their companionship. Whether for herding, hunting, or just running at top speed, these dogs are great in the outdoors; McNabs are also very affectionate to kids and other animals. McNabs possess exceptional personal hygiene habits, so they are fairly low-maintenance. They shed moderately, so some cleanup will be required. 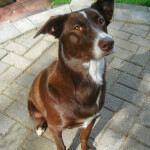 They are known to require quite a bit of exercise so an active owner or family is ideal. Members of this breed are well-mannered and intelligent, making them easy to train. These dogs originated in the mid- to late 1800s in Mendocino County, California, as a result of the breeding of Alexander McNab, the Scottish immigrant for whom the breed is named. As a sheep farmer, McNab was not happy with the herding dogs that were available in the rural area in which he lived, so he began importing Scottish Collies from his native country. These he crossbred with a variety of other dog breeds, most notably the Basque Shepherd, to eventually develop what he considered "the perfect herding dog" – the McNab as we know it today. Due to the McNab's distinct markings, dog historians believe McNab must have bred his dogs with Fox Collies at some point, since the two breeds are similar in coloration. Today, McNabs are still popular as herding dogs, and many people own them as family pets because of their well-mannered temperament and good hygiene. This breed can vary greatly in appearance from one dog to the next, though practically all McNabs share similar coat markings. A McNab's length is usually a bit more than its height. The head is wedge-shaped, with a long snout; ears are long and triangular, and can be floppy or erect. A McNab's legs are long and nimble, which gives it great speed in the herding fields. Another distinctive characteristic is the McNab's small, "cat-like" feet, which also enhance its agility. And the tail can be either bobbed or long and narrow, and often J-hooked. Dogs of this breed are red or black, and have white markings on the head, nose, belly, and on the tip of the tail. Tri-colored McNabs do exist, but are rare. McNabs vary widely in size. Height is normally 15-25 inches at the shoulder, and weight is 35-75 pounds, though some males may be taller and heavier. 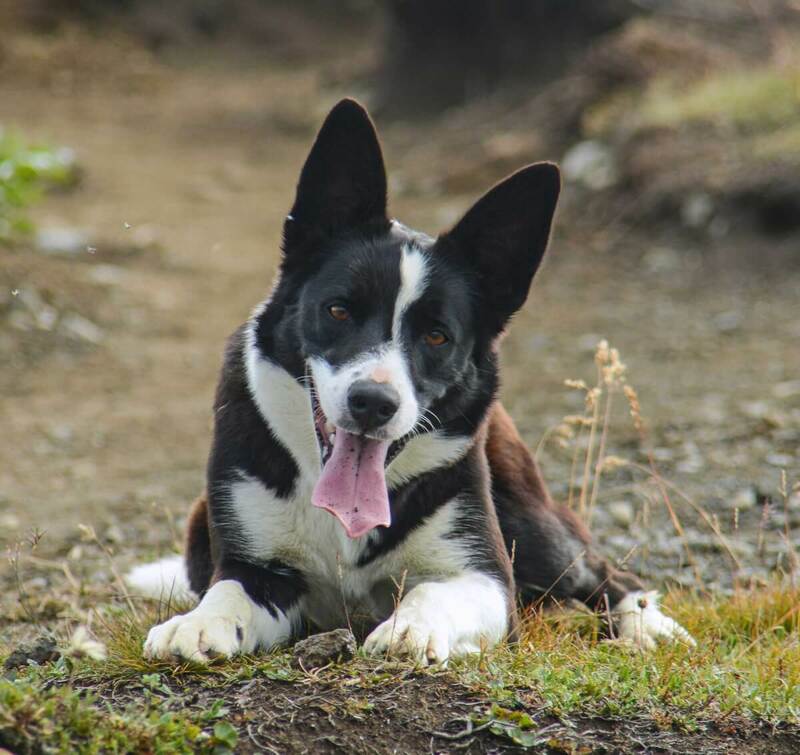 Intelligent, well-mannered, and loyal herding dogs, McNabs are known for their excellent work ethic and their affection for people and other animals. This breed tends to be more laid back than its Border Collie cousin, but because of its herding instinct, a McNab can be a "busybody," and will need frequent activities that require mental and physical stimulation. McNabs make excellent family pets; they possess a playful sense of humor, thoroughly enjoy playing games and performing tricks, and are very easy to train. Another interesting trait is that McNabs have excellent personal hygiene, and clean themselves often. This breed makes an excellent companion to children. McNabs are loyal, protective, and alert, and will enjoy playing games outdoors that allow them to run freely. McNabs are known for their affection for other animals, and will mix very well with other pets. Due to their high herding instincts, McNabs may be a bit dominant around other pets, but this is a minor issue. As an intelligent, well-mannered dog, a McNab tends to be wary of strange people, and may be sheepish around them. Below are pictures and images of the McNab dog breed. McNabs are generally low-maintenance. Due to their near-obsessive personal hygiene, baths are rarely necessary. This breed sheds moderately, so weekly cleanup will be necessary. A McNab's coat is short- to medium-length, and will require brushing once a week to remove excess dead hair. Nails may need to be clipped every 2-3 months. As herding dogs, McNabs are extremely high-energy, and will need a great deal of exercise. An outdoor space that will give the dog plenty of room to run is ideal. Since McNabs need a lot of exercise, apartment living is not recommended. These dogs are best in a home with lots of outdoor space to allow them to run free. No climate issues exist for this breed; McNabs will tolerate any type of climate. McNabs are generally healthy and robust, but may occasionally suffer eye problems like primary lens luxation (a hereditary condition that causes disintegration of the corneal lens) or "cherry eye" (the protrusion of the inner eyelid onto the outer surface of the eyeball).